In previous blogs about confusing labels we have highlighted the concerning labeling misrepresentations on specific products including chocolate bars, iced tea, and coffee. In this case, we are concerned about the misrepresentation of an entire labeling program. Though officially Rainforest Alliance does not call itself a fair trade label, the message has reached consumers that it is a fair trade label. Sometimes this is due to blatant mis-labeling as in this example of chocolates from this past Valentine’s Day. Other times it is due to the way Rainforest Alliance is positioned in association with fair trade labels in retail settings, most notably with Whole Food’s Whole Trade guarantee program, which gives equal recognition to Rainforest Alliance as legitimate fair trade labels when awarding use of its Whole Trade Guarantee seal. However, Rainforest Alliance Certified is not a fair trade label. It is lacking several key components of fair trade programs including trade standards. There are no requirements for buyers to pay minimum or fairly negotiated prices, develop long-term relationships, or offer financing. Participating farmers are not organized democratically and are not offered a fair trade premium for community development projects. It is a program focused solely on management of on-farm environmental resources with some social standards for workers on farms. Because of its on-farm focus and lack of trade standards, it is more naturally suited for larger farms rather than the small producers that are at the core of the fair trade movement. Even though labor standards are included in the Rainforest Alliance program, there are questions about their effectiveness. Even on paper, key components such as limits on working hours, voluntary overtime, and time off are included but not deemed “critical,” which means a farm on which workers are, for example, forced to work overtime may in theory be certified. But it is not just that this could happen that concerns us, it is that it is happening. Tres Hermanas is a banana plantation in Honduras that was named in an official complaint filed through CAFTA, the Central America Free Trade Agreement. The complaint claims that Honduras has not fulfilled its commitment under the trade agreement in enforcing labor laws. Though Tres Hermanas is only one case cited in the report, it is important because this plantation is also Rainforest Alliance Certified. The union, SITRAINBA, has more recently reported violations including failure to pay minimum wages and overtime and harassment of union supporters. The egregious situation is the subject of a recent International Labor Rights Forum alert. 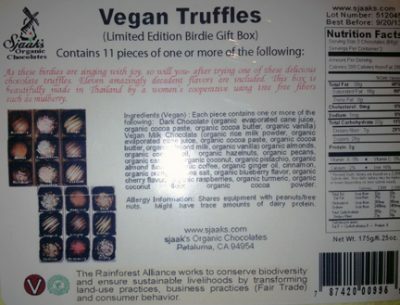 Voluntary labeling systems such as Rainforest Alliance are meant to provide market incentives for businesses, including farms, to do more than required by government regulations in areas such as fairness and sustainability. By allowing the use of its seal for plantations that violate basic labor laws such as Tres Hermanas, Rainforest Alliance is rewarding bad actors with marketing advantages. The above issue, coupled with the fact that Rainforest Alliance Certified is often confused as a fair trade labeling initiative creates a situation where businesses that are not even meeting minimum government regulations for labor rights are undermining the efforts of a movement striving to ensure small producers and their own workers are paid and treated fairly in trading relationships. If any of your favorite brands use the Rainforest Alliance Certified seal, let them know you would like them to switch to a legitimate fair trade label to show their commitment to fair payments, fair working conditions, and environmental sustainability. A list of certified products can be found on Rainforest Alliance’s website and our own website has an overview of fair trade labels. Join the International Labor Rights Forum in their petition and follow their efforts to ask Rainforest Alliance to immediately correct the current situation with Tres Hermanas. Check out our committed brands section to find companies that are already committing to true fair trade practices. Get involved in the campaign to stop the Trans-Pacific Partnership, a “free trade” agreement that will have harmful effects on farmers and workers globally. Rainforest Alliance is not Fair Trade? Fair Trade is not Organic and nobody is asking to forget about Fair Trade and just choose Organic products. Fair Trade is primary about people not the environment. Maybe as a secondary aspect it tries to have good environmental practices but that is not the main focus of the organization. The main focus of Fair Trade is to alleviate poverty by ensuring that farmers/workers get compensated equitably for their work. Rainforest Alliance’s primary goal is about conserving biodiversity, i.e. the main focus on this organization is about the environment. It is not a questions of Rainforest Alliance vs. Fair Trade. Both of them are complementary. fair trade doesn’t actually have anything to do with the environment and on Zavida coffee beans it explains what the Rainforest Alliance certifies and says otherwise but their trueness isn’t certified so technically everything they “certify” could be a lie so how do we know they actually care about the people who spend their lives planting and harvesting coffee beans for all we know they just want farmers to respect the environment so they say they’ll help them with health and education but they don’t. Let’s say that you are a poor farmer with little or no resources and you barely survive the season. Would you follow a quality standard or do you cheat the process? To support a standard is expensive and even big companies with big pockets are unable to fulfill. You can’t expect any quality of a poor farmer. To think the opposite is only wishful thinking and it is not a reality. Ergo, Rainforest Certification is bluff if the ecology measures are not followed or (conclusion of) social measures.